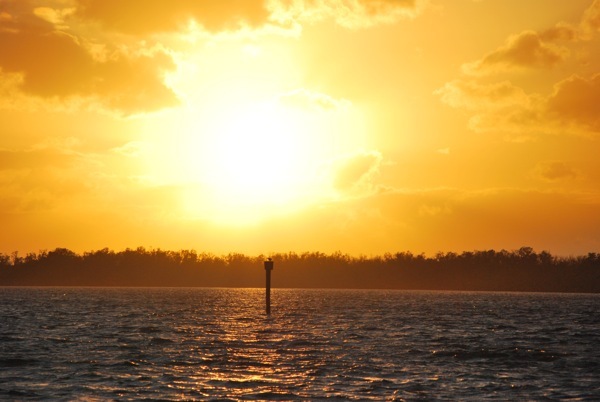 While visiting Sanibel Island in Florida last week, I went on a sunset cruise at the J.N. “Ding” Darling National Wildlife Refuge. Incredible views of the bird life culminated with this impressive sunset perched upon the water marker. A beautiful beacon guiding us back to safe harbor.